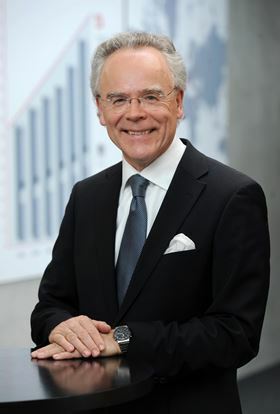 Dr Hans J Langer, founder and CEO of EOS GmbH. The award, established in 2008, is given to individuals who have made significant accomplishments that greatly impact the additive manufacturing industry. ’This SME award is a reflection of both Hans Langer’s innovative spirit and the growth and technological advancements his company has made over the past 27 years,’ said Glynn Fletcher, president of EOS North America. Dr Langer founded EOS in 1989 and over the years developed the company into a pioneer of AM. Before founding EOS, he worked at the Max-Planck-Institute for plasma physics and received his Ph D with a thesis on laser technology from Ludwig-Maximilian University in Munich. Dr. Langer was also ranked among the 20 most influential personalities in additive manufacturing by the AM magazine TCT in 2011, and EOS has also received several important industry citations—among them three German ‘Top 100’ Innovation awards for medium-sized enterprises, two German ‘Bavaria’s Best 50’ awards and in 2015 the ‘Game Changer Award’ by German Manager Magazin, and Bain & Company.